"With the increase in the trend of web applications it has made the web experience much more easier and better too. Now the jobs that people used to do using a paid licence software which used to take long time is now being done easily staying right inside your web browser with the help of web applications which is not just only easy but also saves your valuable time like we previously mentioned about Creating PowerPoint presentation from Facebook Photo albums. 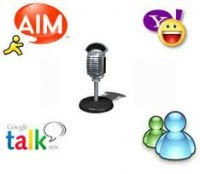 Like that now you can now even make chat with people on your different IM accounts staying right inside your Web browser window with the help free web applications that just makes your internet experience even more easier. It means you don’t need to download and install any softwares just for chatting. Here I have listed down 12 best online web applications that are the alternatives of your desktop messenger softwares..."